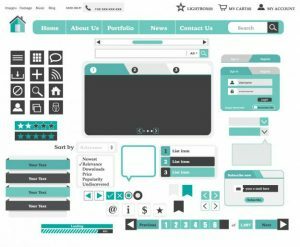 What makes a good website? Not all websites are the same. Whether your goal is to achieve brand awareness or you have an e-business, it is becoming increasingly harder for Irish brands and organisations not to have a digital presence. Today, the digital environment is cluttered with bad and good websites. New websites are developed . Your company is competing for customers every day. Most of all websites are designed keeping your brand and you customers in mind. But what are the solid foundations of a good website? Great planning is vital to build a website. A good website is based on stability, longevity and scalability. Here is a list of what good websites have in common. Appearance. Remember: your website reflects your company, your products and services. First impressions count. A good website design should be polished, professional and visually appealing. The challenge is to attract your customers’ attention and keep them engaged. It is about how you communicate, how you build your reputation, your credibility and ultimately; how you turn your visitors into customers and brand ambassadors. Content. Substance and style are the essence. Your visitors are looking for information. A good website is accurate, informative, updated and relevant. The information provided should increase your customers confidence and your credibility. Direct your content to your goals: leads and sales are your bread and butter. But most of all: update your content. Yes, no one likes to read the same thing. It is boring give them variety. Finally, did you check your website for typos? Poor grammar and punctuation? Spelling mistakes? Make your website error free. Websites with good design are the key to success. We are an affordable web design and development company based in Terenure, Dublin, Ireland. We focus on website design and development. We strive to become a leading web design agency for Small Medium Enterprises in Ireland.